build and although it was damaged by artillery in 1991 during the Yugoslavian War, it has been completely restored with no visible changes. (The cathedral photo is by Damir Fabijanic). 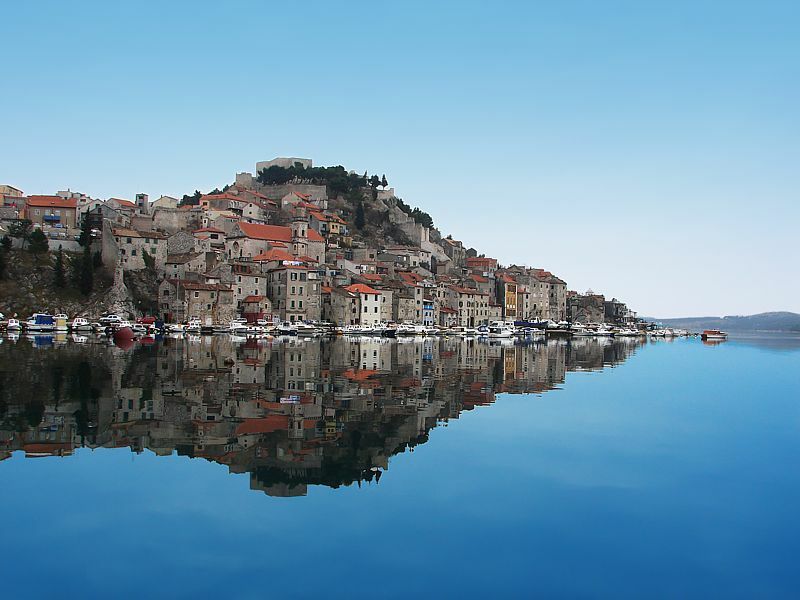 In 2017, UNESCO added the city’s marvelous St. Nicholas Fortress to its World Heritage list, making Sibenik the only town in Croatia with TWO UNESCO sites! Sibenik’s waterfront is exceptionally pretty—the city has a naturally protected harbor with an unusually deep bay and.just offshore are lush green islands. The stunning waterfalls of Krka National Park and a new ethnic theme park are a short ride away. And don’t miss the wonderful Medieval Mediterranean Garden of the St. Lawrence Monastery, another town treasure. During summer nights, the gardens become alive with costumed staff serving traditional food and drink under a canopy of torchlights. Kids? The Annual Sibenik International Children’s Festival, held every June-July, for more than 50 years, is another reason to enjoy Sibenik. –dense and comprehensive, but you’ll get there! –a home-town agency that operates the city’s only double-decker, open air bus.